At BeerDeCoded we map beer at molecular level to help brewers and beer passionates to make more informed decisions. We want to create a molecular tree of beers that links beers with similar properties. Akin to a fingerprint, this open information could be used for B2B and B2C projects. For instance, BeerDeCoded will help craft brewers benchmark new recipes against existing products and control their quality. Also, the data could train a deep learning sommelier to help beer passionates to discover new beers. We brainstormed this idea during a past Open Data Hackathon documentation and TODAY WE IMPLEMENTED IT! List of 240+ Swiss-German Beers google sheets: %Alcohol, Bitternes, . Brewing recipes of 200+ BrewDog beers API, Json. 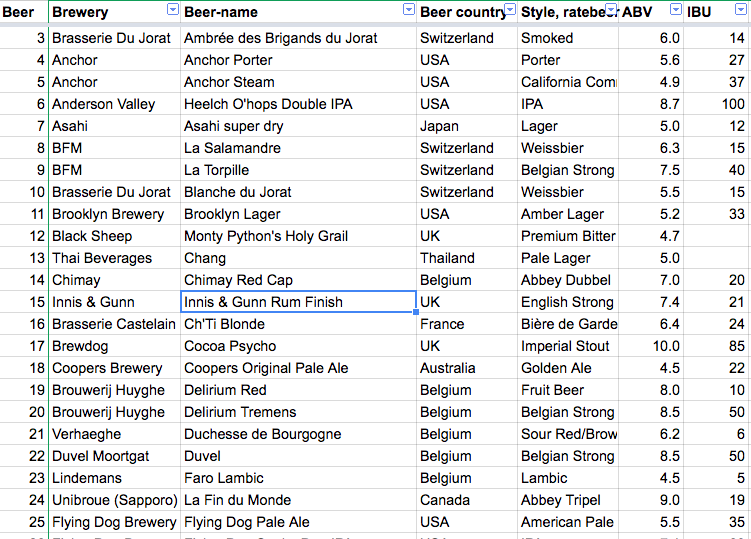 We collected real samples of 118 Beers, crowdsourced from 20 countries tab-separated-values. 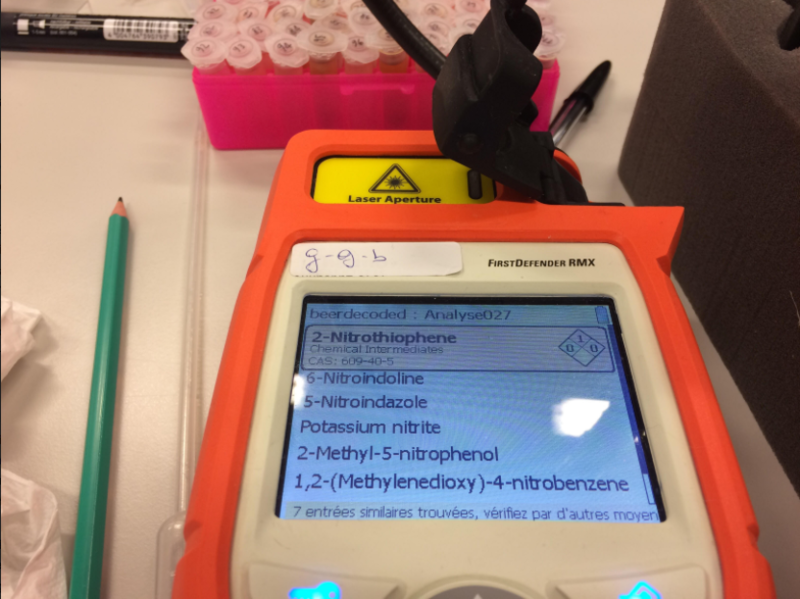 We borrowed from the Criminology Department a portable molecular scanner and at the Hackathon we scanned all the 118 beers creating a brand new open molecular dataset for the beer chemical profiles. 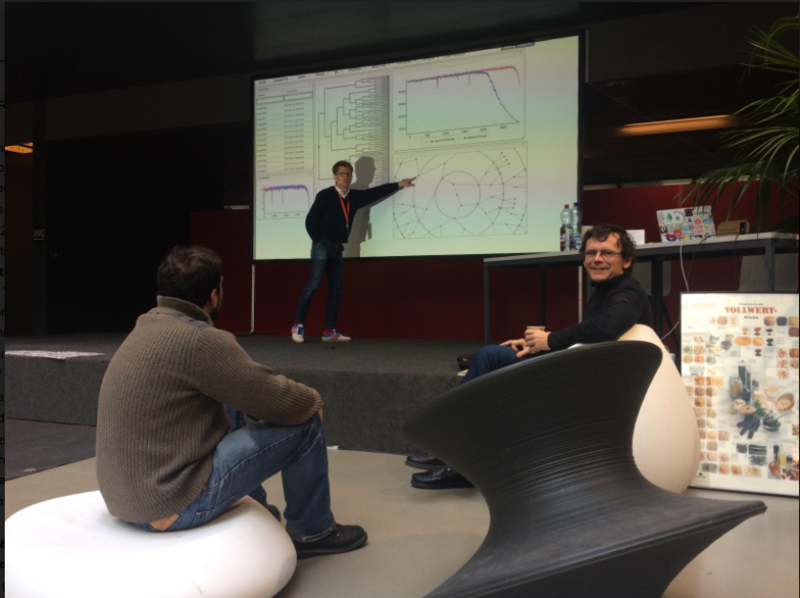 Luc Patiny (EPFL) worked on a webpage to visualise and compare the spectra. Required: Google Chrome online demo. It also calculates the similarity matrix (just double click on it if it does not appear). 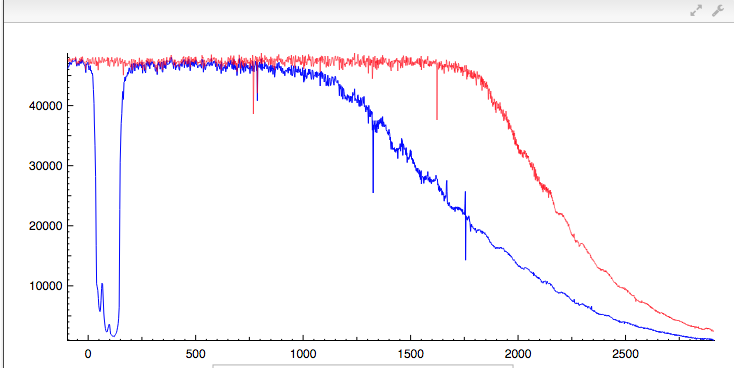 Click on the similarity matrix will show you the 2 spectra for the corresponding pixel. There is also the 'Clustering' button that allows to display result of hierarchical clustering. There are traces of the food additive Potassium nitrite (E249, a preservative). In one beer we also found traces of an herbicide. We grouped beers with similar molecular profiles into a “tree”. 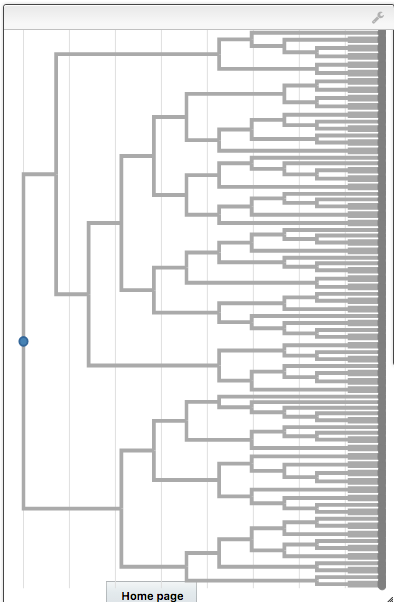 This dendrogram put beers with similar profiles into different groups (branches). Give us your feedback. Pick a beer you like and see what else is on the branch. Try one beer. Do you like it? Stay close to your comfort zone. Wander away a few branches for something new. Feeling adventurous? Try something on the polar opposite side of the tree. Is this yeast, hops, wheat or barley really what my provider says it is. Does it contain GMO? Pesticides? Does my product contain harmful or undesirable microbial contaminants? Does it contain an allergen? Who introduced the contaminant, my production site or my subcontractor? What is the shelf life of this beer? Does my competitor use my proprietary yeast strain? How does my home-brew beer compare to benchmarks or known brands? There are about 20,000 different beer brands on the global market. And the market for craft beers is experiencing a tremendous expansion. In the USA alone, there were more than 1,800 microbreweries in 2014 (+ 27.8% when compared with the previous year) and there are more than 6,000 in Europe and more than 600 only in Switzerland. To differentiate themselves, microbreweries continuously experiment and create new recipes, contributing to as many as 1M of different beer lots brewed every year. This explosion of variety and complexity means that both brewers and consumers face major challenges. The database engine will be RethinkDB. NoSQL advantages + join functionalities. 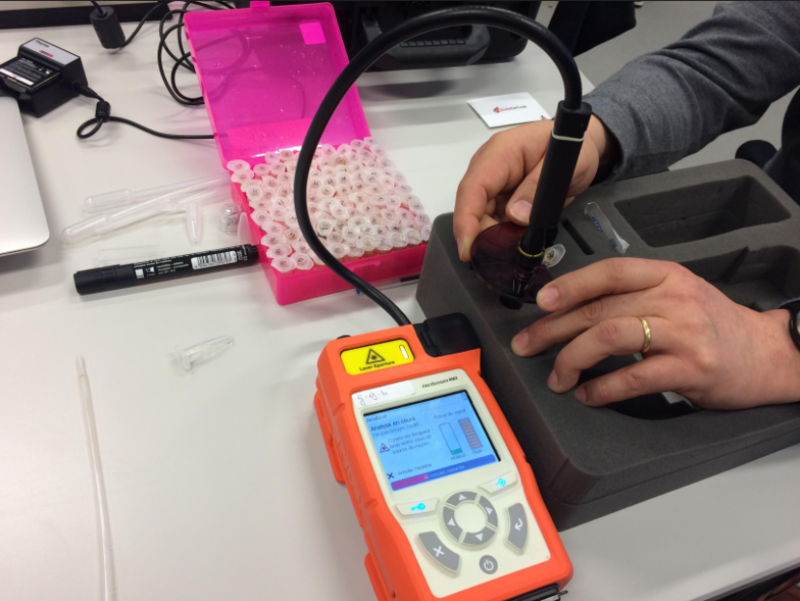 Wet-lab - Digitise the molecular spectra of 100+ beers with a portable spectrometer.